Home Off Beat	Shooting star tattoo is good luck impression on skin! Shooting star tattoo is good luck impression on skin! 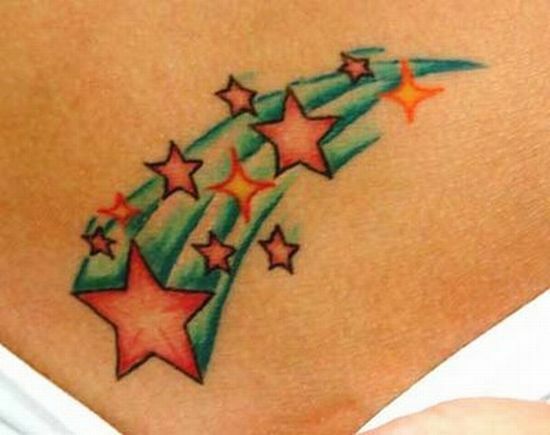 Captivating human attention from the historic times, shooting star tattoos have become quite a popular choice for people across the globe. These tattoos tend to fascinate people and they get them permanently inked on their bodies as a symbol of good luck. I think that this gal has got it inked so that she is able to invite success in every aspect of her life. If thatâs the story behind the shooting star tattoos, I wonât mind having one. ← NES Controller tattoo – Show your geeky side!